Do you drive a vehicle with high mileage? Welcome to the Lauria Hyundai High Mileage Club! Any make, any model, we have got you covered! 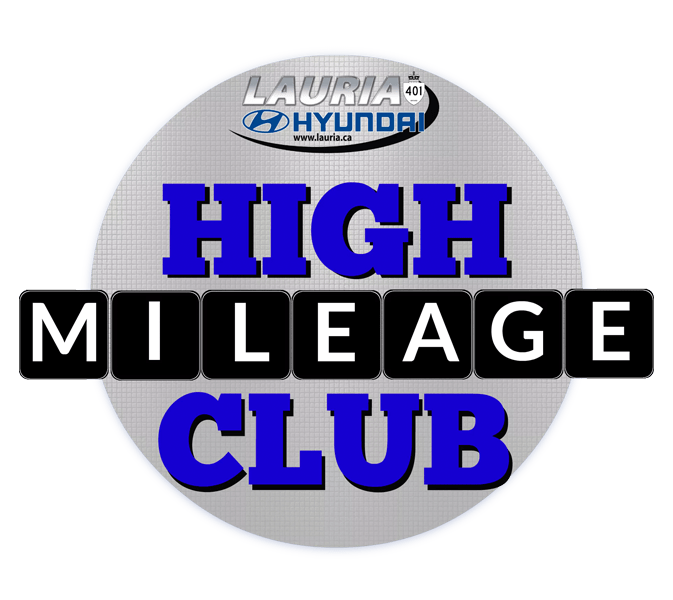 Lauria Hyundai is excited to introduce the High Mileage Club for all of our service customers! 140,000 to 179,999 kms receive 15% off parts and labour! 180,000 kms or more receive 18% off parts and labour! Save $5.00 on Lube, Oil & Filter changes! The discount to parts and labour will apply each and every time you service your High Mileage Vehicle meeting the mileage parameters on all maintenance and repairs. Lauria Hyundai is also proud to offer 0% Financing on service repairs – ask for details! Lauria Hyundai offers incredible benefits you can’t get at the local garage with factory-trained technicians, loaner vehicles, shuttle service and a comfortable customer lounge with free wi-fi and fresh coffee always brewing! Don’t put off important repairs or maintenance any longer – join the club today!